This project continued or completed previously initiated research studies with the goal of generating recommendations on best management practices for economic and environmentally sustainable canola production. Robert Blackshaw with Agriculture and Agri-Food Canada (AAFC) led the multi-study project. The specific studies were: a canola rotation study led by Neil Harker with AAFC in Lacombe, AB; a nitrogen study (see report 3.2.3 in this issue) led by Robert Blackshaw; an input study led by Eric Johnson with AAFC in Scott, SK; and an Ethiopian mustard breeding program led by Kevin Falk with AAFC in Saskatoon, SK. Harker’s rotation study included continuous canola, canola every second year, or canola every third year grown in various combinations with cereal and pulse crops. It will continue for another three years at five sites in Western Canada. Results so far indicate that canola yields trend lower when canola is grown every year compared with being grown in two-year rotations (canola-wheat) or three-year rotations (peas-barley-canola or lentils-wheat-canola). Continuous canola production is not a sustainable practice. Blackshaw’s nitrogen study compared polymer-coated urea (ESN) to standard urea as they relate to weed management and yield of hybrid and open-pollinated (OP) canola. It found that both hybrid and open-pollinated canola respond positively to higher than currently recommended nitrogen (N) fertilizer rates in about 50 percent of the cases. When compared to urea, ESN reduced N2O emissions by 20 percent and increased canola yield in 25 percent of the cases. Johnson’s input study determined the agronomic and economic benefits of hybrid and open-pollinated cultivars, various seeding rates, various fertilizer rates, and various herbicide rates conducted at six sites (24 site-years) in Western Canada. It found that competitive cropping systems (hybrid cultivars, adequate seed rates) can lessen dependence on herbicides for weed management. 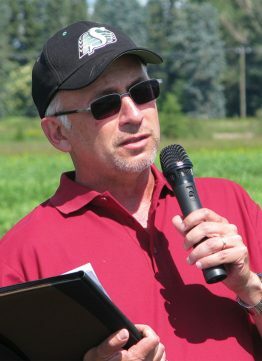 Weed biomass could be maintained at low levels if herbicides were applied at a 50 percent rate, as long as a competitive hybrid canola cultivar was grown and the 100 percent seeding rate was utilized. However, total removal of herbicides resulted in large increases in weed biomass and this became worse over the four-year study. 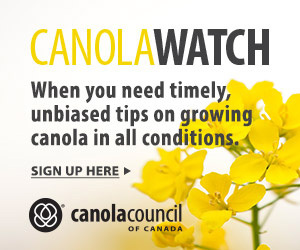 Johnson’s overall results indicate that crop inputs could be reduced for one or two years without large negative effects on canola yield, but that crop productivity markedly declined with reduced crop inputs in subsequent years. The ranking of canola yield response to the various inputs was herbicide > fertilizer = cultivar > seed rate. Falk’s breeding program looked at the feasibility of canola-quality Ethiopian mustard (Brassica carinata). Ethiopian mustard shows good potential to be a new oilseed crop on the Canadian Prairies, but advanced breeding is required.